Diligent Web Tech is an expert PHP/MYSQL website development company specializing in end-to-end custom PHP & MYSQL website development services. Our holistic web development services include PHP consulting services, PHP framework based application development, PHP product engineering, and PHP web application support services. One of the most popular programming languages in the world, PHP is the preferred choice for web app development projects for all kinds of business enterprises both small and large. PHP provides numerous advantages over others such as top-notch performance, open source (free of cost), platform independent web app development, extensive support from assistive developer community, and much more. Maximize the digital potential of your business, leverage the advantages of web development with PHP & MYSQL with Diligent Web Tech. 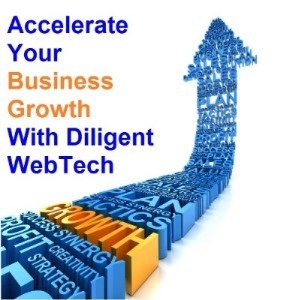 Diligent Web Tech specializes in developing powerful, high volume e-commerce solutions including e-carts & marketplaces, social commerce solutions, auctions & reverse auctions etc. From professional online training web apps and corporate learning portals, to quizzes, online courses, tests and assignments, Diligent Web Tech for all kinds of PHP E-learning solutions. Critically acclaimed for creating and timely delivery of external-&-internal facing web portals, such as real estate portals, news portals, stock portfolio, tracking portals, and many more. Diligent Web Tech takes pride in developing state-of-the-art web applications facilitating social connectivity. Solutions offered include social networks, engaging communities, blogs & Wikis, collaboration solutions, etc. Our highly skilled developers perform full-cycle development using LAMP stack. 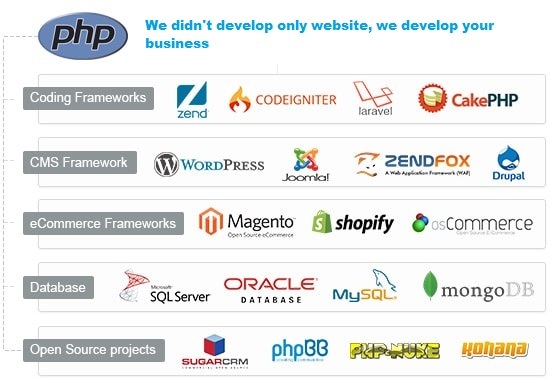 Integrative PHP solutions include inventory management web applications and business process automation systems as well as advanced domain-specific solutions. Industry wide recognition in delivering scalable PHP back end solutions, in combination with extensive mobile front-end development skills and experience in deploying JSON & REST services. Our developers observe strict adherence to W3C validation aspects while deploying both static & dynamic web pages. Our PHP & MYSQL web solutions are immune to security risks, as they feature coding with a strong MVC architecture. Scalability, high-end flexibility and inherent database support. Minimal compatibility issues with existing modules and/or web programs. Comprehensive PHP web development solutions, right from prototyping & UI/UX designing, to holistic development and eventual deployment after troubleshooting. Efficient after-delivery support with the extended PHP development protection plan.